The story of Princess Zelda is, indeed, legend. A young girl of royal blood, accompanied by a mysterious knight from a magical forest, threatened by a blackhearted desert nomad; each one the respective inheritor of the Triforce’s ever-lasting influence: wisdom, courage, power. Thus, their fates are intertwined, destined to play out within certain degrees of variability for the rest of Hyrule’s existence. 100 years prior to the events of Breath of the Wild, this cycle was to be repeated once again. Link and Zelda take up arms against Ganon, with friends and technologically advanced weaponry that ultimately lead to their undoing, as Ganon seizes control of the Guardians that were supposed to protect the denizens of Hyrule, laying waste to all surrounding civilization. 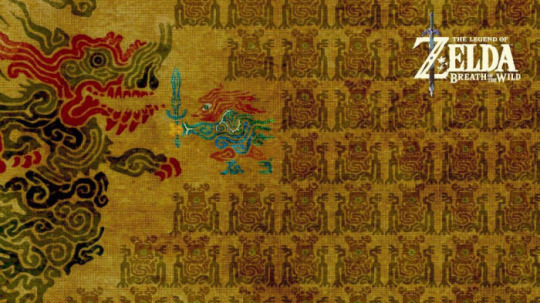 The four Divine Beasts, believed to be the key to sealing Ganon’s fate and Hyrule’s prosperity, fail in their attempt, leaving Hyrule defenseless against the ruin. Amidst this “calamity,” Link is put in a kind of cryogenic stasis that preserves his body for the next century as a failsafe of sorts, in hopes that he’ll awaken when the time is right and take the fight to Ganon once more. While the tale of Princess Zelda may be legend, the tale of The Legend of Zelda™ is nearly the same. It’s been as storied a franchise as anything in gaming, debuting in 1986 and maintaining an active presence in the industry all the way up to now. If Mario is the “face” of Nintendo, a marketing mascot that functions just as much as a symbol as it does a videogame, Zelda is their space for artistic endeavor, the mark by which we measure their competence as developers. Even when Nintendo resigned Mario to a template of side-scrolling platformers and spin-off sports and party games, most fans would shell out $300 for a Nintendo console because it was home to Link’s adventures in Hyrule. No matter how deep Nintendo delved into hardware gimmicks and the casual gamer demographic, when time came for another Zelda, they would buckle down and, you know, actually make a videogame. Zelda, however, hasn’t always been exempt from Nintendo’s worst tendencies. It’s not a new argument to say that they’ve essentially been making the same game since that debut in 1986. It was the first of its kind, and birthed a formula that has proven to be reusable and malleable in equal measure. Other successful titles have borrowed from it (Darksiders, Dark Souls, Okami, The Binding of Isaac, to name a few), and as time went on, the series itself spawned a feint translucence that begged to be reconciled. Ocarina of Time had the benefit of technology that hadn’t yet been mastered, showing gamers for the first time what a big, open, three-dimensional, fully traversable space looked like. But, with each new entry, and each reuse of its familiar tropes and gameplay designs, the demand for revisions began to make itself apparent. Skyward Sword was the sore thumb that called the most attention to it. It’s a polarizing game, due in large part to its insistence on utilizing the Wii’s finicky motion controls, but also in part to its copy/paste nature that started becoming more obvious as the industry began showing more evolution. The gap between Skyward Sword and Breath of the Wild is nearly six years. Since then, we’ve seen the rise of Soulsborne as a cultural revelation in its level design and combat mechanics. We’ve seen The Witcher 3 redefine the open-world genre in terms of content and depth of writing. We’ve seen Metal Gear Solid V set the bar for the level of mechanical polish possible for games with an ambitious scale. And through all of this, we’ve seen Nintendo steadily regress, pushing out brand-stamped cash-grabs and banking every measure of success on the value of nostalgia. This is why Breath of the Wild is a big deal. It shows that Nintendo was not only willing to learn from the medium’s growth, but that they still have it in them to reinvent and push well-established boundaries. It’s not just an open-world game, it’s a recalibration of the way we interact with open worlds. It respects the player’s intelligence enough to fill its world with meaningful content and not mark any of it on your map. It encourages the player’s curiosity with a flexible physics engine and pockets of vast, open space that cloak a wealth of secrets. It shows you everything and tells you nothing, leaving the mysterious, ruined land of Hyrule to whatever devices you have in your arsenal, both in-game and in your own mind. Perhaps most notably, it employs and improves upon modern standards while retaining the sense of adventure and peril their original 1986 title gave gamers all the way back then, because Breath of the Wild isn’t just a Zelda skin attached to a new sandbox, it’s a reimagining of what the original game’s core elements were. It’s a rebirth for the series and for Nintendo’s own development capabilities, displaying real potential for the Switch’s future as a dedicated gaming console, with quality titles and practical use of its portability. It shows a side of Nintendo we haven’t seen consistently since the GameCube era. So, it’s 100 years later and Link has awakened like Lazarus, ready to make good on the legend of old. He’ll use remnants of Hyrule’s century-old technology to bring a day of reckoning to Calamity Ganon, the right way this time. He’ll use his memories of the past to usher Hyrule into the future, rebuilding what’s been lost and renewing what’s always been there. By extension of the player, he’ll grow and adapt into the rapidly changing climate of his surroundings, learning from past mistakes and generating brand new ideas of his own.